I've been waiting all winter for this y'all. 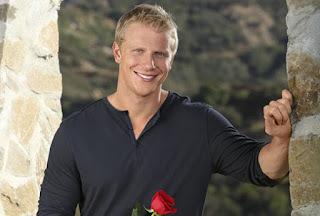 SEAN LOWE'S FIRST EPISODE AS THE BACHELOR BEGINS TONIGHT. I'm shameless and live tweet during the episodes, and update each week so if you're into that sort of thing, join me won't you? YES. SO EXCITED. I've missed your recaps!! DYING. So freaking excited, words simply do not suffice. It's gonna be epiiiiic! I was hoping you'd be doing this. Can't wait! I LOVED this! Can't wait for your recap tomorrow. Just dying to hear what you are going to say about Tierra! oooops I clicked the wrong post to comment this on. Embarrassing.